April 12th, for Disneyland Paris fans this date has a special meaning in their hearts. The optimism in the air at launch was replicated exactly 20 years on as Disneyland Paris hosted a special day of entertainment which delighted everyone from standard guests to the biggest Disneyland Paris fans.It didn’t matter what you were interested in, Disneyland Paris had something very special for you to enjoy for one day only! There were multiple character meet opportunities in Main Street, Frontierland, Adventureland, Fantasyland and Discoveryland celebrates, these were short shows and opportunities to see rare characters up close and personal. This was one not to be missed by character and Disney lovers. The highlight of the day for Disney fans was the Tony Baxter Masterclass event, Tony Baxter was a key figure in the creation of Disneyland Paris, and for fans to be able to meet him, and hear stories from the creation of Disneyland Paris was a rare treat. For fans who have yet to see the talk, this video from DLRP Magic! will get you up to speed. 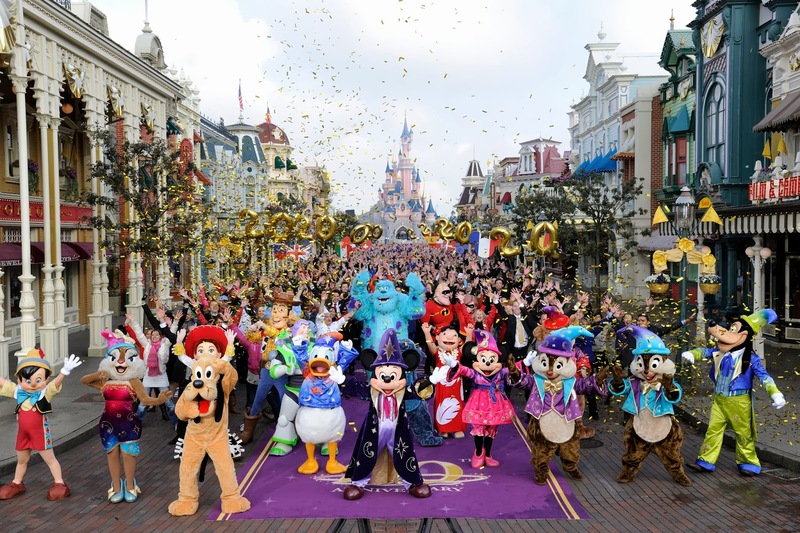 This event was hosted by 2011-2012 Disneyland Paris ambassadors Régis Alart and Osvaldo del Mistero in the presence of all Disney Parks ambassadors from around the world. The other big event was the Cast Member flashmob, Disneyland Paris had spent a lot of money getting the park looking beautiful for its 20th Anniversary, and into a place that its Cast Members would be proud to work, this showed at the opening of the park on 12/4/2012 as thousands of happy Cast Members descended onto Main Street USA. It set the tone for the year ahead. 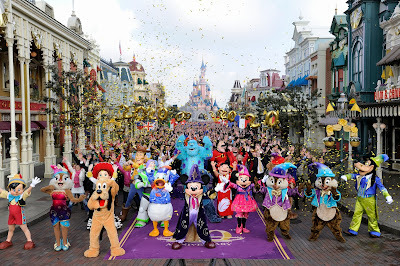 Disneyland Paris has held many celebrations in the past, but perhaps the day that will stand out (in recent times) the most will be the 12th April 2012, it’s rare for fans of the resort to get up close and personal to those in charge, and those imagineers who put us where we all are today. Let’s hope that 2017 and the 25th Anniversary will provide fans with another of these rare opportunities.